World Prematurity Day takes place every year on 17th November to raise awareness of premature birth and the sometimes devastating impact it can have on families. A premature birth is one that happens before 37 completed weeks of pregnancy. Around 60,000 babies are born prematurely in the UK each year. This puts the UK’s preterm birth rate between 7-8%, ranking us 134th out of 184 countries in the world for preterm birth. 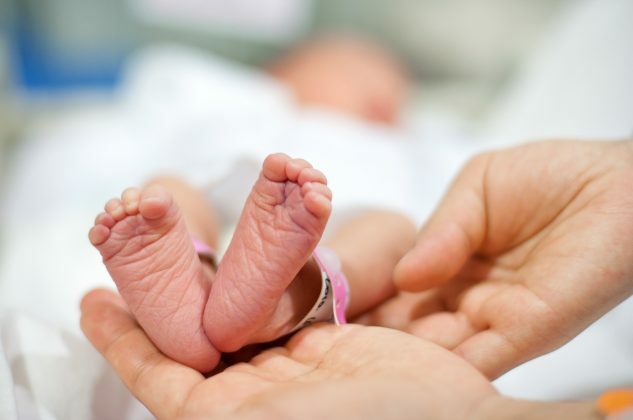 What are the chances of survival following preterm birth? In babies born preterm, the chance of survival at less than 22 weeks is close to zero. At 23 weeks it is 19%, at 24 weeks 40%, at 25 weeks about 66% and at 26 weeks 77%. Recent studies in the UK comparing babies born in 1995 and 2006 have shown improved rates of survival (from 40% to 53%) for extreme preterm births (born between 22 and 26 weeks). There is a dramatic difference in survival of premature babies depending on where they are born. For example, more than 90% of extremely preterm babies (less than 28 weeks) born in low-income countries die within the first few days of life; yet less than 10% of extremely preterm babies die in high-income countries. Preterm birth complications are the leading cause of death among children under five years of age, responsible for approximately 1 million deaths in 2015. We still have a lot to learn about premature birth so it’s not always possible to explain the causes and why it happens. There are maternal and baby risk factors for being born early, such as placental problems or genetic problems for example, but in many cases the cause is unknown. 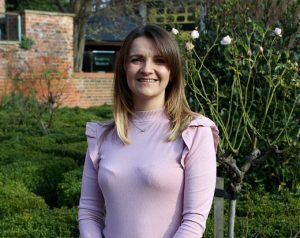 Katy Evans, a Paralegal in the Clinical Negligence Department, knows firsthand how difficult it is to go through the many emotions of having a premature baby. Katy tells her story. “The thought of becoming pregnant with my first child was both a joyful and daunting experience. You are entering the world of the unknown. My pregnancy was eventful in that from the very early stages, I had regular bleeding. This resulted in many visits to the Hospital and the GP for various checks, blood tests and scans. When I was 29 weeks gestation I suffered a preterm premature rupture of membranes, and was admitted into Hospital. Whilst at the Hospital I was given antibiotics and steroid injections, to help with my baby’s lungs in case of a premature birth. Following a 5 day stay in Hospital I was discharged home. Unfortunately the following day I was admitted back to Hospital due to further bleeding. Following checks on both myself and the baby, the Hospital advised the baby may come early. Unfortunately the Hospital did not have any room in their Neonatal Intensive Care Unit or Special Care Baby Unit in case the baby was delivered early. As a result of this, I had to be transferred via ambulance, 70 miles away to a different Hospital who had the capacity for both me and my baby. The following morning I woke up with pains, which were increasing in intensity together with severe bleeding. Following an examination, it was confirmed I was in premature labour. My husband was working 2 hours away, and had to rush over to the Hospital. Luckily my sister was only 45 minutes away, and came over straight away to be with me. During labour I remember the Midwife saying to me that my baby’s heart rate was dropping, and they kept a very close eye on me. Suddenly the room became full of doctors, and I recall them wheeling in an incubator. This was very worrying and upsetting for my husband and sister to witness. Mia was born at 1239hrs weighing just 3lb 4oz at 30 weeks gestation. She was transferred immediately to the Neonatal Intensive Care Unit. I was unable to see Mia for a few hours following the birth. However, I remember when I saw her for the first time in the incubator, I was so shocked at how tiny she was, but astonished at how much hair she had for being so early. She was given a nasal feeding tube and was wrapped up in snuggle blanket. During her time in the NICU she developed severe jaundice. Mia and I had to stay in Hospital for a period of 3 and ½ weeks. As I was so many miles from home, I was able to stay in the Hospital with her. During this time Mia had various tests and examinations. We were so relieved when the Hospital gave us the news that we could take Mia home. Mia still had to have a number hospital appointments, and regular blood tests, however, we were very lucky that Mia had no lasting problems due to her prematurity. Mia has recently turned 10, and is healthy young girl, who has no long term effects of her prematurity. With my second child, I was informed I had a higher risk of having a further pre-term baby. When I reached 30 weeks gestation with my second daughter, I was very relieved I had made it to this stage. Libby arrived at 38 weeks gestation, at a very healthy 6lb 1oz”. Having a premature baby is a very emotional and scary time for any family. 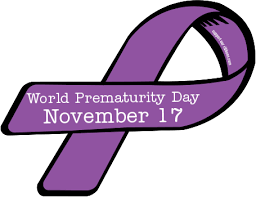 World Prematurity Day takes place every year on 17th November to raise awareness of premature birth. It is an opportunity to call attention to the heartbreak and suffering that preterm birth can cause and the devastating impact it can have. It’s also a chance to talk about solutions.